C.C. Benison is the nom de plume of Douglas Whiteway, who was born sometime in the last century in Winnipeg, Canada, and was educated at the University of Manitoba and Carleton University, in Ottawa. He has worked as writer and editor for newspapers, including the Winnipeg Free Press, and for magazines, including Canada’s History (formerly The Beaver). He also contributes to nonfiction books as a writer and edits both fiction and nonfiction. 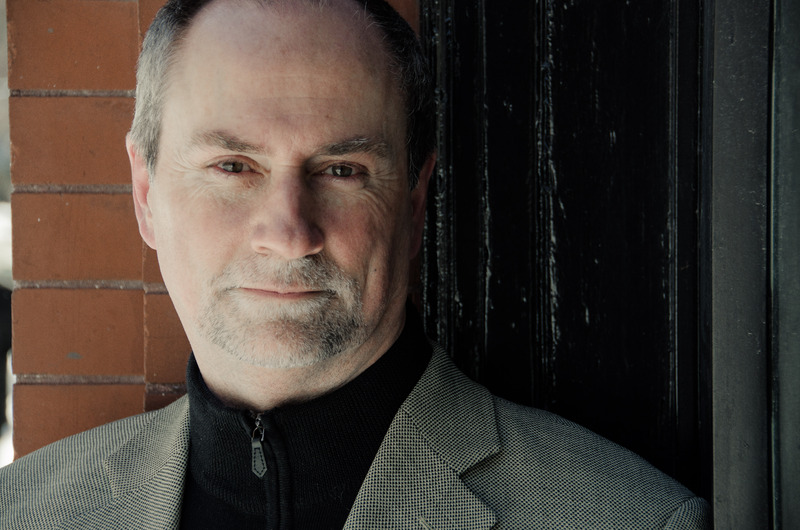 He began writing crime fiction in the mid-1990s with Death At Buckingham Palace, which was published by Bantam books and won, in 1997, the Arthur Ellis Award for Best First Novel from the Crime Writers of Canada. Since then, with gaps in between to work on other projects, he has published seven more crime novels, including Twelve Drummers Drumming, Death in Cold Type, and Paul is Dead. You can find him online at ccbenison.com. Shauna Kosoris: I’d like to start off by asking about your pen name: why did you decide to write under a nom de plume? C.C. Benison: I’d been a journalist for many years, writing under my real name, Doug Whiteway. I thought when I switched gears to fiction that a pseudonym would be fun. My editor at the time suggested that if I was going to pick a pen name, pick it from one of the first three letters of the alphabet, as you’re more likely to be shelved in a bookstore at eye level. Hence ‘Benison.’ (‘Whiteway’ would put me at people’s feet.) My editor liked ‘Blessing’ as a name. I didn’t, and proposed ‘Benison’, which is a synonym for ‘blessing’. And so a pseudonym was born. The ‘C.C.’ stands for nothing. Wow, I would never have considered shelf placement as a factor like that! So what inspired your new book, Paul is Dead? Part of the inspiration lies with the summer cottage that my grandparents built in Gimli, in the 1920s, a building little changed over the decades, which lends it a kind of eccentric quality that sets the imagination running. There are aspects of the cottage’s architecture and interior furnishings that I’d long thought would add spectacle to a certain kind of death (which I’m not saying, lest I spoil it for readers). Too, the idea of something misheard intrigued me: the book title references a sort of giddy news story from 1969 in which Paul McCartney was declared many years dead, a doppelganger having taken his place in the Beatles. In the novel Paul is Dead, an entirely other Paul has died, but one of the characters is momentarily shattered, thinking her terrible secret has been exposed to the world. The year 1969 and the isolated cottage setting also provided an opportunity to reflect on the foibles of the generation that grew up in the 1960s and that decade’s darkening temperament as the 1970s dawned. What attracts you to murder mysteries and crime fiction? I had read Agatha Christie and other Golden Age detective novelists when I was a teenager, so when I thought I might try my hand at fiction, mysteries seemed somehow more doable than any other genre I might try. Too, I very much like plot, and crime novels have plot in abundance. Plotting a novel is great fun. But I also think genre novels, like mysteries or crime novels, are potentially wonderful barebones on which to add the flesh of ideas, social commentary, criticism or what-have-you. Both of your series (Her Majesty Investigates and the Father Christmas Mysteries) are set in England. Why does England appeal so much to you as a setting? England was the only possible setting (of course!) for “Her Majesty Investigates” because that’s where the protagonist famously lives, and the best likely setting for the Father Christmas mysteries. In practical terms, it would have been difficult to hinge a Canadian-based story on a title such as Ten Lords a-Leaping. Canada has no peerage. Too, the comedy around the name “Father Christmas” didn’t work well in a North American setting. I also think England’s smaller scale (as opposed to Canada or the U.S.) is attractive. I could find almost everything I needed—stately homes, dairy farms, pipe bands, pubs, churches, etc.—all within a very tight geography. I think my priest would have to do a lot more travelling to find the same things in Canada. The other appeal of England is sentimental: That’s from where most of my family emigrated. My grandfather was born in Devon, and that’s where the Father Christmas mysteries are set. I’ve travelled to the UK more times than any other country. They speak English there. Most useful! Very true! 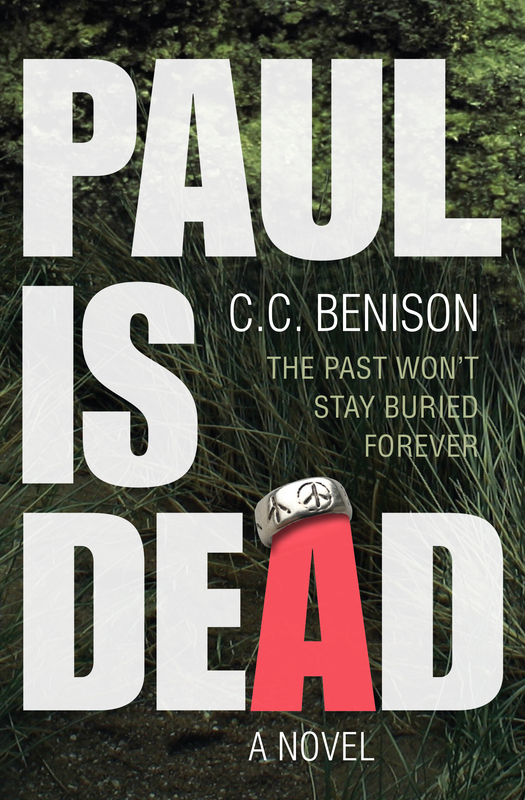 You’ve also written a few standalone books (such as Paul is Dead). Do you prefer writing standalones or series? It’s a toss-up really. The advantage of the series is having a set of characters already established that you can run with, book after book. The pleasure of the standalone is the opportunity to shift gears and engage in some literary experimentation. What are the rewards and challenges of plotting out a larger series? As above, one of the rewards is having established characters to set through their paces. Given that publishers generally want a book a year, if you’re writing within the crime genre, having characters to hand speeds the process considerably. With a series you also get to spend more time with your characters (hopefully you like them!) and really burrow into their lives. This is the pleasure––advancing the ‘B’ story of their changing lives over several volumes (the crime and its resolution in each novel being the ‘A’ story). However, as with a marriage, the challenge is to keep a series fresh over a long period of time. You also edit both fiction and nonfiction books. What attracts you to editing? Editing­­––particularly substantive or stylistic editing––is almost (though not quite) as pleasurable as writing fiction, because you have to immerse yourself in the story, and this deep immersion is the source of the pleasure. Editing the works of others also keeps me sharp (I think!) for my own writing. As an editor, I am much more likely to smile on a manuscript that shows polish and professionalism and strong focus on readers’ needs. I try to replicate those qualities in my own writing. The experience of editing also gives me a greater respect for the editor’s role in finished work. I’m not sure many readers understand how instrumental an editor can be in turning a good manuscript into a great publication. Editors are much unsung, though perhaps we/they like it that way. I’ve completed a contemporary crime novel set on the West Coast with the working title, “Two Birds, One Stone” and have begun a new one set in Winnipeg. That’s all I can say! The answer to that changes from year to year, decade to decade. At the moment, I’d put forward the works of Kate Atkinson, who is a marvellously witty stylist. I just finished the last of Ann Cleeves’s Shetland series, Wild Fire, and have moved on to one of the few Ruth Rendell/Barbara Vine novels I haven’t read––The Birthday Party.